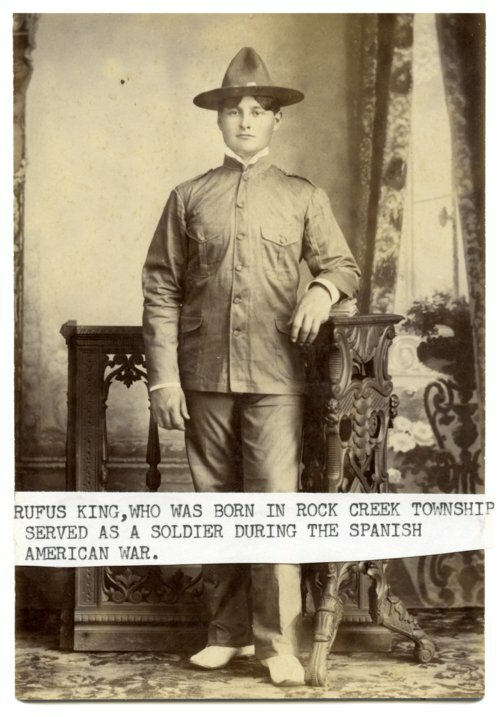 A studio photograph of Rufus King who was born in Rock Creek Township in Wabaunsee County, Kansas. The photograph was taken in Manila, Philippines, where King served during the Spanish-American War. Later in life, Rufus King became a notorious serial killer, as the owner of a livery stable at Maple Hill, Kansas. Several men went to work for Rufus at the livery stable and were never seen again. He was later convicted of murder and sentenced to life in prison.